Tuesday November 6, 2018 was a great day for CONNECTICUT Fire Fighters with the election of many of our endorsed candidates. 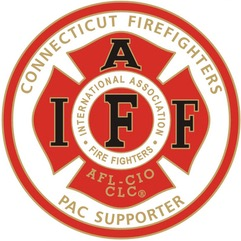 Over the past year the Uniformed Professional Fire Fighters of Connecticut your state affiliate of the IAFF met with national and statewide candidates for office from our U.S. Congressional Delegation to state wide office. We did not look at party affiliation but looked at candidates who would commit to supporting fire fighters and retirees. We are very pleased with the election results but today the work continues to do everything we can to support and protect your rights and benefits. A very special thank you to our local leadership and membership from our affiliated IAFF locals who answered the call, it was a great team effort. We have attached the UPFFA Endorsement Policy along with a listing of our Endorsed Candidates. Now that the election is over, we will continue to work with both sides of the political aisle on your behalf. In addition, please visit our website (www.upffa.org) to view the pictures of the station visits on October 31st and November 1st, along with pictures from the June 20th delegates meeting in Bristol of some of the endorsed candidates.